Many people dream of owning their own home and they work very hard to achieve this goal. 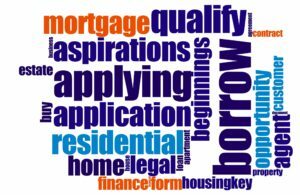 If you are planning to buy a home and you think that you are ready, there are a few things that you should do before you start looking for home financing options. The more prepared you are, the better. The first thing that you should do before you start the home buying process is check your credit. You can obtain your credit report from one of the three major credit bureaus. The first thing that you should do is look over the report thoroughly to make sure that there are no errors. Next, check your credit score. If your score is low, you might not qualify for a mortgage. Even if you do qualify, your interest rate could be very high. If you have a low credit score, you might want to consider trying to raise your credit score before buying a home. This can save you thousands of dollars throughout the life of your loan. Before you start thinking about buying a house, you should figure out how much you can afford to pay each month. When doing this, there are other things that you need add to the equation. You should also think about the cost of the insurance on the home and the cost of the property taxes. To determine what you can afford, start by totaling up your monthly bills. This includes utility bills, credit card bills, car payments, food, gas, and any other expenses that you might have. Take that number and subtract it from your monthly income. This will give you an idea of how much you can afford. If you don’t think about this ahead of time, you could end up taking out a loan for more than you can afford, which can put you at risk for foreclosure. There is no rule that says that you need to get your mortgage loan from your bank. The lender that you choose should be the one who is offering the lowest rates. It is a good idea to get rate quotes from a few different lenders before you select one. • Your W-2’s, 1099’s, or 1040’s for the last three years. Home ownership is a big responsibility. Before you jump into buying a home, you should make sure that you are ready and that you have everything in order. Crippling debt can have you scurrying around for refinancing when the prospects of increasing your income aren’t looking so rosy. And whilst this can provide immediate relief, the financial benefits can be short-lived. So the question of when to refinance is fairly tricky as it requires a smart approach. When you refinance on your mortgage you’re simply paying off your mortgage debt using a new loan. In essence, you’ll be extinguishing your current loan repayment obligation with another one. Homeowners have several reasons for doing so. Some want to shorten the duration of the loan and take advantage of lower interest rates. Others are enticed by the opportunity to maximise on their existing equity by using that as leverage for home improvement loans. Then others are simply strapped for cash and just want to avoid foreclosure at all costs. However, refinancing should always be a last resort as it’s not always rainbows and unicorns on the horizon. 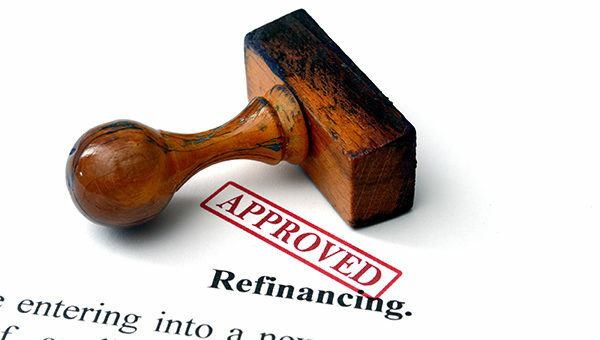 To dispel the rumors and suspicions it is important to make it clear that refinancing doesn’t just imply acquiring a new loan. In a lot of ways, it entails the amendment of terms that have been agreed to previously in order to make repayment easier. As such, you get lenders willing to sit down with you and discuss a practical way forward. For example, switching between fixed rate and adjustable rate mortgages can give debtors breathing room if it means they can tap into lower interest rates. At a time when the economic environment is thriving, 10 good years of consistently low-interest rates will help you pay off your mortgage faster than when you adhere to a fixed rate. In theory, the reasons for refinancing a home are compelling. But in reality, it’s not always advisable. So before taking this ‘leap of faith’, ask yourself a few questions. 1. Is there equity in my home. Most lenders expect equity of at least 20% before approving a new loan. Do your homework first! 2. How good is my credit score? If it’s anything below 650 you might struggle to convince lenders. Take time to wallpaper the cracks. 3. What are my current and future plans? Refinancing is a bid deal and requires foresight. Factors like your present employment circumstances and the prospect of retirement should play a huge part in the decision-making process. According to Wadzanai Munjanja -a senior financial accountant at Ernest&Young- ‘a gut-feeling approach to refinancing is like relying on the weather report. In as much as it’s all figures and calculations, it can be unpredictable.’ The best way to be absolutely sure of when to refinance- and even that’s impossible- is to consult with experts before making a decision that will affect you for the rest of your life. When you decide to hire a custom home builder to build a new home, you have control over everything that your home will become. 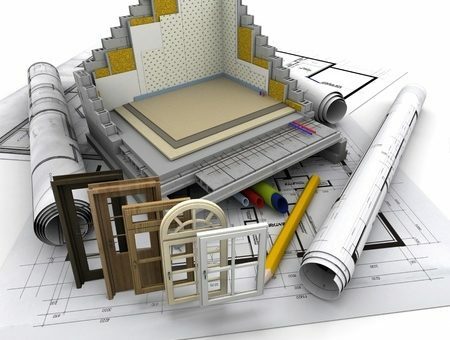 You can select your floor plan, your color scheme and the materials that you want to be used. Every decision is up to the homeowner. 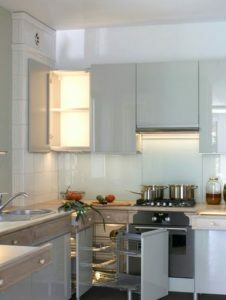 The builder will have recommendations and standard materials that they use but you can always decide on something else. Keep in mind that the decisions that you make will likely affect the end price of your home. If you are on a tighter budget, building a home vs. buying can work out to your benefit. If you or someone you know is a qualified contractor, you may be able to negotiation doing your own work. This will allow the builder to focus on other elements and allow you to save money. If you are considering this option, make sure to bring it up with the builder while you are discussing your needs. There may be rules or regulations governing what you will be allowed to do. Another great option when working directly with the home builder is that you can get a bit of both worlds. Many builders will build homes on spec that you can buy and then decide on the different elements. You are able to see the floor plan already built but you can select the flooring, the wall colors, cabinets, and appliances. Buying a home removes a lot of the decisions from the home owner. The home is already built and finished and ready for you to move into. 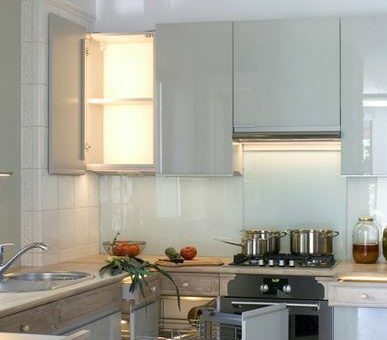 If there are any renovations to be done, you will be able to make the decisions on those, but otherwise, it’s as simple as moving in and enjoying your new home. Though using a real estate attorney’s services could add quite a few thousand dollars to your overall real estate transaction cost, it is money well-spent. 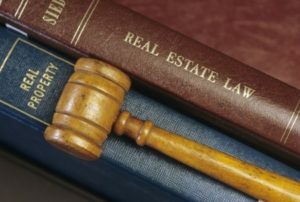 If you’re not sure how a real estate lawyer can help closing a real estate deal and take care of all the pitfalls that could cost too much money, keep reading. Most people are capable of negotiating with another party face-to-face. But the deal’s terms should be memorialized properly in an agreement for the terms to be binding legally. Within the real estate law domain, an attorney not just negotiates keeping your interests in mind, but also ensures the contract conforms to state laws and also addresses particular issues that could impact future property usage. Title search is another important service that lawyers perform. A title search is completed through or by attorneys, and the objective is to ensure the property in question is sans encumbrances, such as judgments or liens. The title search’s outcome is crucial since it opens up on whether the seller can legally sell the particular property. A lawyer would be able to offer such a service fairly quickly, and with less cost since real estate lawyers are connected with title search firms on the professional front. If a party or more are trusts, partnerships or corporations, preparing the contract and the following negotiations could be complex. A lawyer understands various kinds of business arrangements and the legal borders within the laws of your state. The lawyer would make sure the contract and the law fall on the same tangent and also see to it that the deal’s terms do not violate the charter agreements of the partnership, corporation or trust. 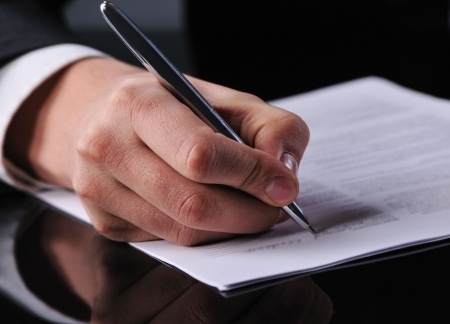 Often, real estate contracts should be duly filed at the state and county level. As a regular citizen, you would find clearing all these legal hoops a bit too complex. A lawyer, on the other hand, can get this done efficiently and quickly. 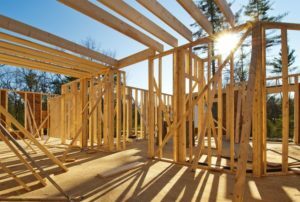 Moreover, if the transaction entails property where particular kinds of construction aren’t allowed, a lawyer would be able to move past all the state regulation maze so that you can finish the transaction. Wrought iron is considered the pricier material for fence construction. However, this material is extremely durable, known for its beauty and can last a lifetime if you care for it properly. The main con of a wrought iron fence is that it can rust in inclement weather. This can be avoided with the proper sealing and upkeep. We can help you to learn more about what you can do to keep your wrought iron looking stellar for years to come. 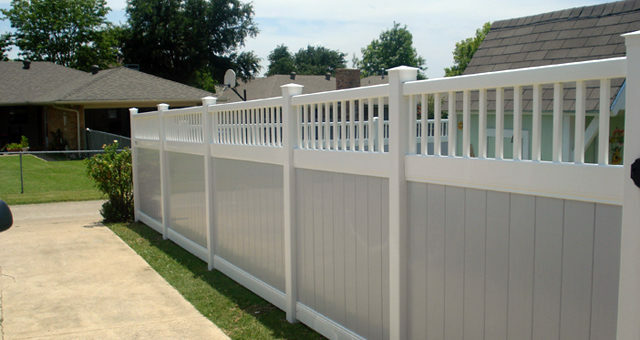 Coming in less expensively than traditional wrought iron, vinyl fencing is a popular choice for those who do not want to have to worry about excessive upkeep. Vinyl will not warp like wood or rust like iron and is impressively strong for a material that you would not expect to be such a work horse. Vinyl’s only true con is that it can crack in high temperatures and become brittle. The most economical option of the three materials covered in this article, cedar is considerably lower priced than both vinyl and wrought iron. 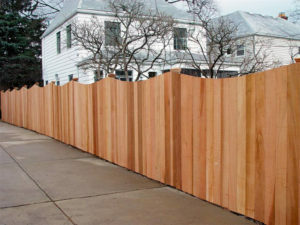 Cedar is a great option for privacy fencing, is inexpensive and can be painted or stained any hue you prefer. The cons of cedar include the need for timely upkeep to prevent warping, rotting, and termites. With that said, any wood item comes with these same issues and what cedar lacks in letting you be lax on upkeep, it makes for in traditional, timeless appeal. From adding beauty to your home to keeping the neighbor’s pesky pooch out of your prized begonias, we can help you to create a fence that meets your needs and splashes a hint of character on to your property all at the same time. 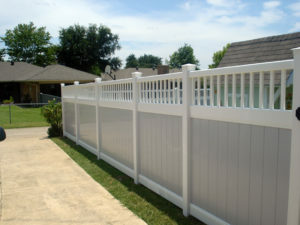 Contact a fence contractor in your area for a quote or to learn more about all material options. If you are looking for a simple way to make your home more energy efficient and lower your electric bill, replacing your existing light bulbs with new LED versions is one of the most effective changes you can make. LED lights use far less energy than traditional incandescent bulbs and even compact fluorescent ones. The usefulness of LED lighting goes far beyond replacing the light bulbs in your lamps. There are plenty of other ways to incorporate Home LED lighting into your home decor, including the following ideas. Whether it is the area above the basement steps, that high ceiling in the entryway of your home or the light in the garage, replacing those existing lights with long lasting LED ones is a smart idea. One of the biggest benefits of LED lighting is that the bulbs last a long time, and that means less work for you. If you are tired of climbing the ladder or dragging out a step stool every time a light bulb goes out, pick up a selection of LED bulbs and give yourself one less thing to do. Whether you wait for the current bulb to burn out first or replace it now, you can benefit from the long-lasting nature and energy efficiency of LED lighting. If you have an aquarium in your home, replacing the existing lighting system with a LED version can make fish keeping more fun. Fluorescent lighting looks good but LED lighting is far brighter and lasts longer too. There are plenty of ways to retrofit an existing aquarium for LED lighting, so you do not have to disrupt your existing setup to upgrade your fish tank. The upfront cost of a LED aquarium light is higher, but the overall cost of operation should be much lower. If there is one place you need true light, it is in the bathroom medicine cabinet. LED light bars are perfect for the bathroom- they look great, the lights last a long time and the lighting is less harsh than the fluorescent version. LED lights for the bathroom are widely available and easy to install. You should be able to do the work yourself in just an hour or so.